Interactive fitness devices enter a new phase of evolution today as Vi, the world’s first voice-activated AI personal trainer, becomes commercially available. 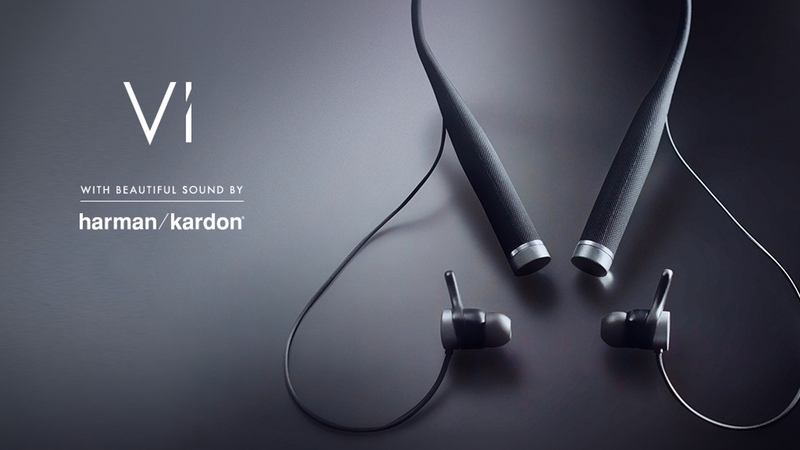 Created by LifeBEAM Labs, a leader in AI wearable innovations that has developed technology for NASA and the Air Force, Vi is built into biosensing earphones with beautiful sound powered by Harman Kardon. Vi brings consumer AI to the next level by adapting to a person’s behavior, environment and physiology to deliver tailored, real-time coaching that makes workouts more fun, motivating and effective. To create the experience and relationship with a life-like fitness companion, Vi has been designed with a human voice powered by hundreds of thousands of audio recordings. Vi doesn’t just repeat phrases, but like Alexa for fitness, converses with users – even going so far as to ask if she’s pronouncing their name correctly. Vi’s functionality is also triggered by voice commands. For example, “Vi how am I doing?” will be met with Vi giving an update of current stats, while “Vi step to the beat” will trigger her cadence coaching capabilities. LifeBEAM has used its expertise developing in-ear biosensing technology for the aerospace industry to place Vi inside state-of-the-art earphones that provide her with a wealth of biometric and environmental data. Unlike other fitness devices you wear, these data points and AI make Vi aware. The advanced biosensing earphones fit snugly in any ear shape and have an array of sensors, such as heart rate, motion, posture, speech enhancement, elevation, touch and more. Vi even knows her user’s location and weather conditions. outside of her training sessions and combines this information with real-time environmental and physiological data to change her training insights on the fly. She even integrates with Spotify and may suggest running playlists based on her user’s tastes. From increasing stamina to weight loss, Vi helps people burn more calories, improve their runs, manage exhaustion and avoid injuries to achieve their fitness goals. Vi’s adaptiveness supports a wide range of users from beginners to marathon runners. Vi uses audio cues to improve running cadence, keeping users within the right effort zone and adjusting their pace to help them meet time, distance or fitness targets. Vi boasts a lightweight and comfortable design that is sweat and water resistant, and packs an impressive battery life for all day use. This is made possible by Vi’s unique form factor, which hangs comfortably around the user’s neck with magnetic tips at the base that allow her earbuds to be secured when not in use. 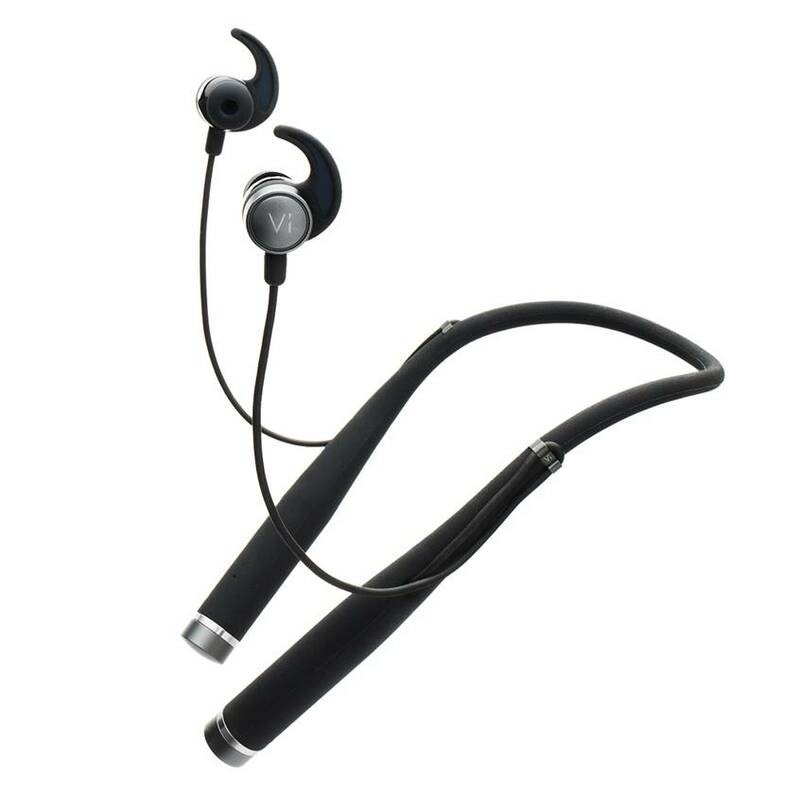 A set of in-ear fins and interchangeable ear gel sizes stabilize and hold the earbuds in place, even during vigorous workout activity. Vi’s high fidelity sound is powered by Harman Kardon speakers, ensuring that music always sounds crisp, clear and precise, and that Vi can always be clearly heard. With Vi, users can make and receive calls at any time and listen to their favorite music. Setting up Vi is simple and can be done in seconds through a voice-activated onboarding. Using the Vi companion app, Vi’s earphones connect with iOS and Android devices through Bluetooth & BLE connectivity. Vi uses smartphone GPS during workouts to accurately map routes and the Vi companion app displays visual progress during and after workouts in addition to providing the user with an interface to set goals, review progress and customize Vi. Vi is available now at www.getvi.com and Amazon.com for $249. Best Buy (retail and online) and additional retailers will have Vi on shelves this summer.